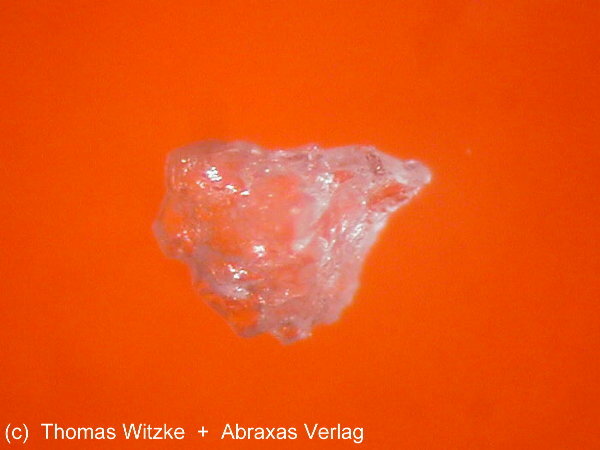 Comments: A small fragment of the oxalate mineral novgorodovaite. Location: Chelkar salt dome, Aksai Valley, Aqtöbe Oblysy (Aktubinsk [Aktyubinsk; Aktubinskaya] Oblast'), Kazakhstan. Scale: Grain size 0.8 mm.